For more detailed information on your rights with police, in particular with Stop and Frisk, see Communities United for Police Reform’s booklet available in English and Spanish. We hold biweekly workshops at Rikers Island with incarcerated immigrants, many of whom face a high risk of deportation because of their contact with the criminal justice system. 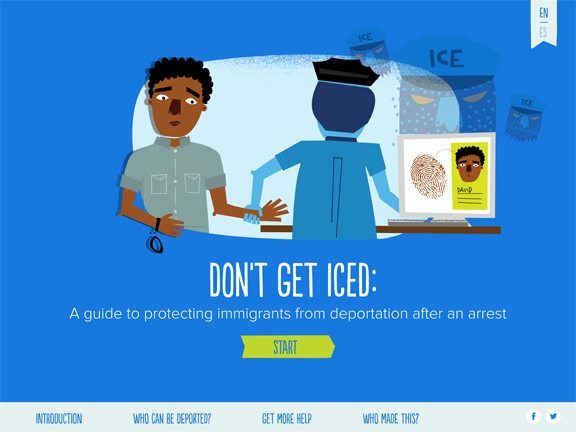 These bilingual (Spanish and English) workshops are designed to help orient immigrants in the criminal justice system to what they face and to provide practical tips and strategies to fight deportation. A guide to working with your criminal lawyer: A brochure on your rights under Padilla v. Kentucky in English and Spanish. IDP conducts bilingual (Spanish and English) Know-Your-Rights workshop for community members. Our workshops include: An explanation of the different ways you may be tagged for deportation in the criminal legal system (such as under ICE’s “Secure Communities” program) and how to protect your rights when dealing with the police and ICE. To request a workshop in your community, please call us at 212.725.6485 or email info[at]immigrantdefenseproject[dot]org.